SMAI have used the highest grade leather along with pre-curved moulded EVA Foam that absorbs the hard hits. The easy slip on slip off feature on the focus mitt makes it ideal for partner drills. The SMAI Curved Focus Pads are designed to support the wrist and forearm with an extra 5cm EVA foam. The SMAI Pro Series focus mitt is made to offer the ultimate support and comfort in training drills. 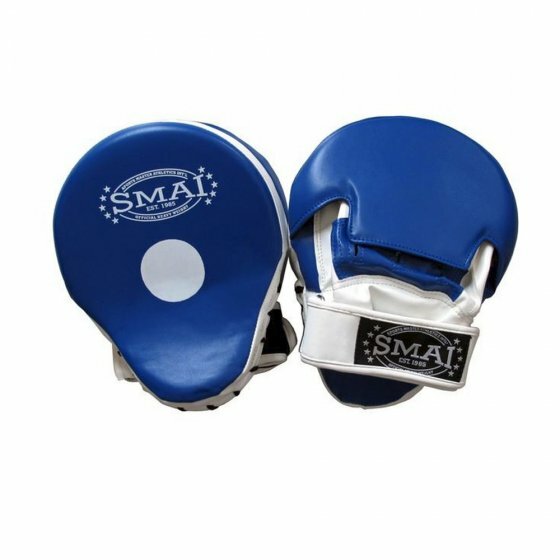 SMAI Curved Focus Focus Pads have a Curved target with a durable synthetic design. Easy slip-on feature an ultra lightweight construction makes this product ideal for personal trainers who are looking for a quality product without the added expense! Features a unique contoured shape for superb target control and High-density moulded foam padding provides solid shock absorption.